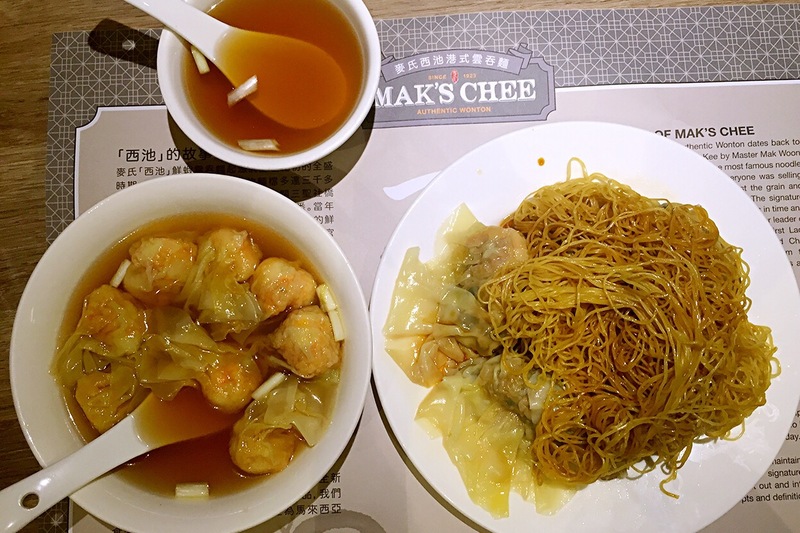 The story of Mak’s Chee Authentic Wonton dates back to 1920s Guangzhou, China. Chee Kee by Master Mak Woon Chee (known as Chee) was one of the most famous noodle stalls across the city. 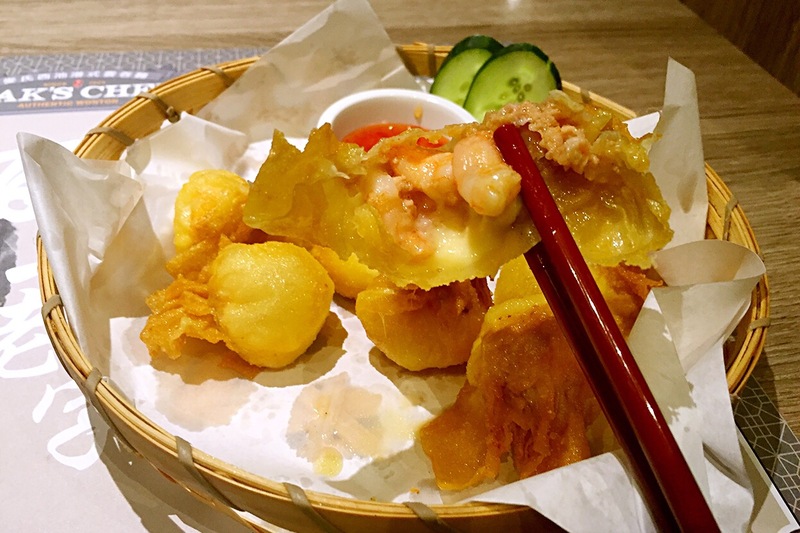 While almost everyone was selling pork wonton, Chee decided to go against the grain and created his specialty fresh prawn wonton. 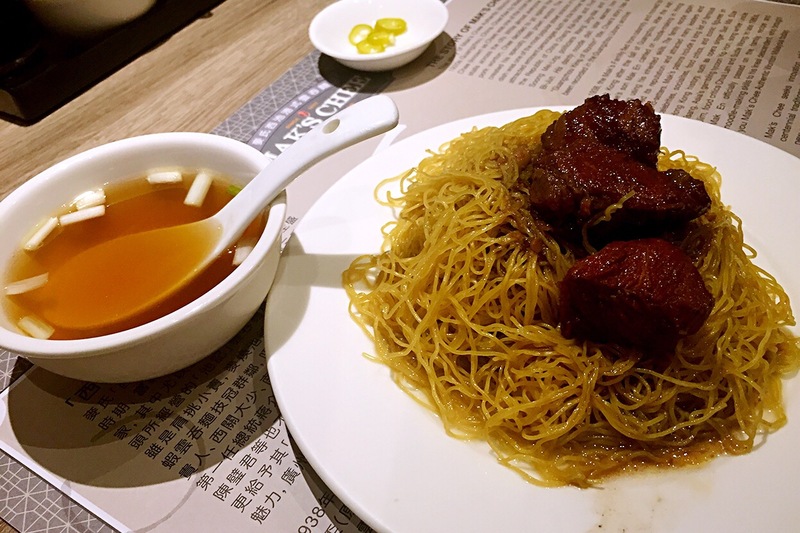 The signature dish was one of the most popular street snacks in time and attracted eminent personages such as the former leader of the Republic of China Chiang Kai-Shek and First Lady Soong Mei-Ling, politicians Wang Jing-Wei and Chen Bi-Jun. His dainty noodle dish later earned him the ‘Guangzhou King of Wonton’ title. Chee’s story has also been recorded in Guangzhou Library archive. Mak’s Chee seeks innovation while maintaining our centennial traditions. In addition to our signature dishes, new menu items are carefully thought out and introduced, bringing brand new culinary concepts and definition to our Malaysian customers. Why Mak’s Chee Wonton Noodle? As wonton itself is a really popular snacks here in Malaysia and wonton noodle is the all the time favourite for breakfast for most Malaysian Chinese. Mr. Gary then explained, the noodle itself is already different from Malaysian Wonton noodle because Mak’s Chee wonton noodle is fine and thinner. He then mentioned the noodle is special made and it has to be eaten within few minutes after cooked or else it will be subside, he will dispose the dish if the waiter or waitress don’t serve it within few minutes. So it’s best to eat the noodle rightaway after it’s served! The wonton is special in a way because of the making process, the wonton skin is using home recipe flour and technique hence the taste is different than our local Malaysian’s wonton. Following a successful lunch in January 2016, Mak’s Chee has several new updates to share with you before the New Year. 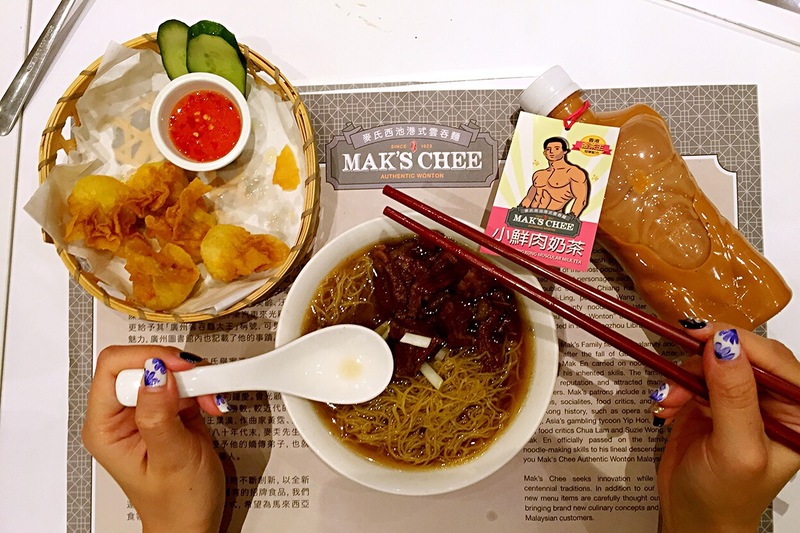 With the aim to provide an experience with comfort food from Hong Kong for most hungry hordes, Mak’s Chee bring you the special milk tea and making new wonton recipe! Introducing Champion Milk Tea and Cheese Wonton! It’s named ‘Muscular Champion Milk Tea’ is really a fun name, comes together with a well-designed bottle all the way from Hong Kong. Mak’s Chee Champion Milk Tea combines the techniques of KamCha (the only international brewing competition on Hong Kong-Style milk tea) winners, and made with 100% Sri Lankan Ceylon Tea. Brewed by top quality highland Ceylon tea leaves; Broken Orange Pekoe (BOP), Broken Orange Pekoe Fannings (BOPF) and DUST which fond a well-balanced tea colour that is aromatic and smooth. This is made possible through partnership with KamCha Hong Kong to consolidate techniques of all previous winners of the competition, in the creation of Mak’s Chee Champion Milk Tea. They will be running a limited edition Muscular figured bottle containing the Champion Milk tea from 5th December 2016 till 28th Feb 2017. Meet the whole new Mak’s Chee Cheese Wonton. Mak’s Chee Cheese Wonton is the all time best seller snack item as Deep-Fried Sea Prawn Wonton gets even better with added cheese! Crisp on the outside and melting Mozzarella and Cheddar cheese with fresh sea prawn on the inside, it’s sinfully delicious! It will also be available from 5th December 2016 till 28th Feb 2017, so go get it at Mak’s Chee One Utama! In 1938, the Mak’s Family fled from calamity and moved to Hong Kong after the fall of Guangzhou. After the war, Chee’s son Mak En carried on noodle-making in Hong Kong using his inherited skills. The family recipe again earned its reputation and attracted many leaders and trend-setters. Mak’s patrons include a long list of famous celebrities, socialites, food critics, and iconic figures in Hong Kong history, such as opera singer Sun Ma Sze Tsang, Asia’s gambling tycoon Yip Hon, song writer Uncle Jim, food critics Chua Lam and Suzie Wong. In late 1980s, Mak En officially passed on the family recipe and noodle-making skills to his lineal descendant, who brought you Mak’s Chee Authentic Wonton Malaysia today. Previous Post BUXI – Affordable Airport Transfer with Private Van in Seoul! 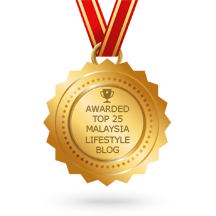 Next Post Pablo Cheese Tart finally in Malaysia! Wahh. 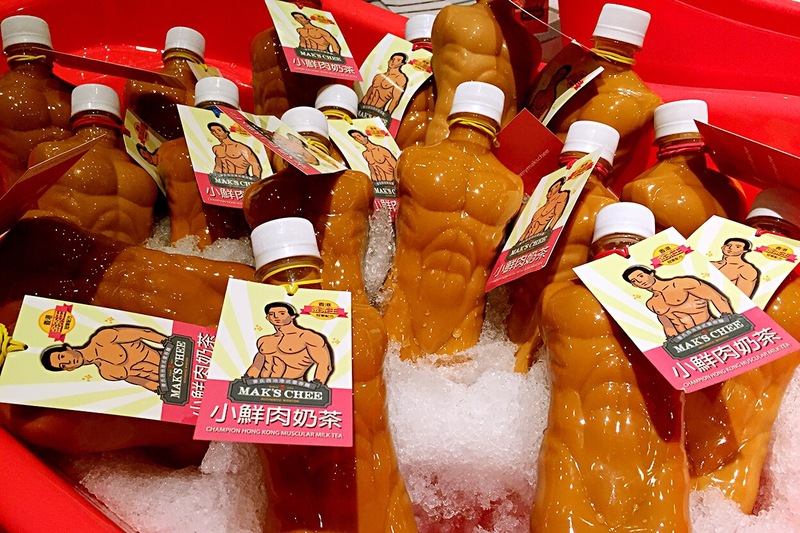 The Muscular Champion Milk Tea one is very attractive and looks delicious. Does the taste nice? They look yummm!!! Cheesy wantons especially. Would love to dig in. Will definitely try this when I’m home! Looks so yummy! 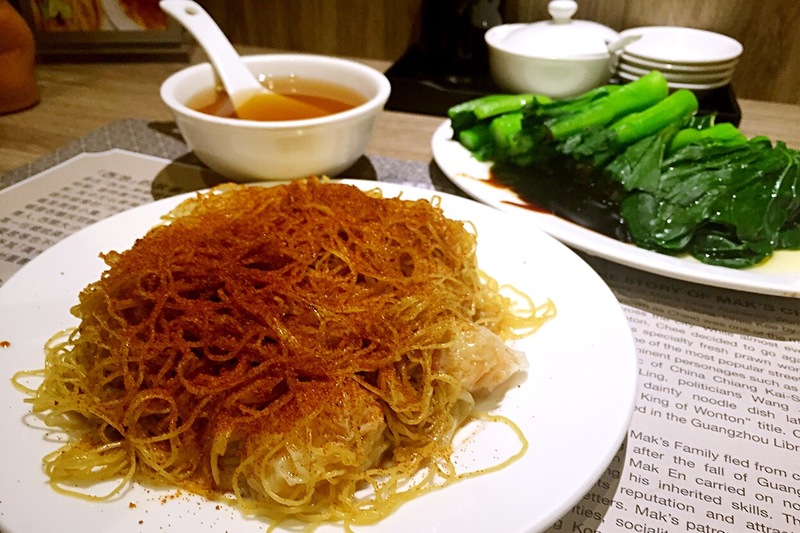 I don’t really eat wonton noodles but I’d love to try this Hong Kong recipe. Also, drinking the Champion milk tea will be a novelty. TOP 10 sights that BIGBANG-VIPs must visit in Jeju Island!